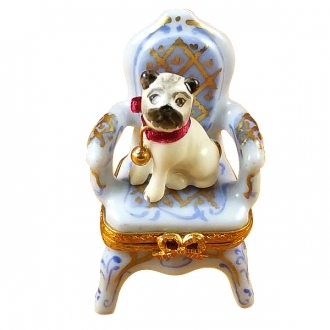 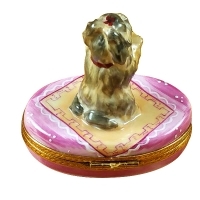 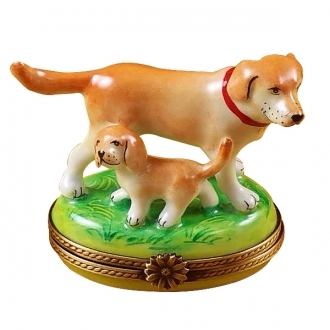 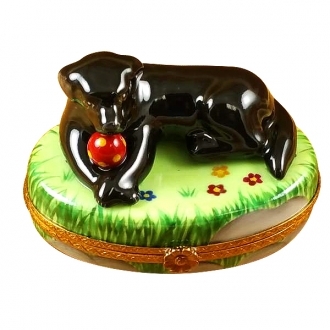 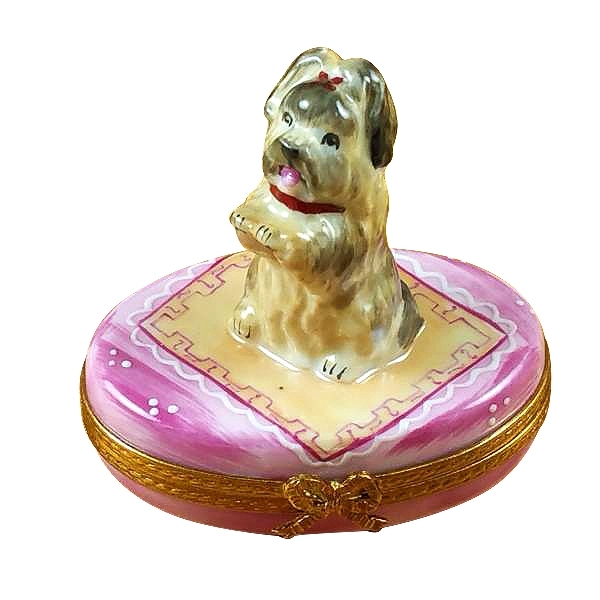 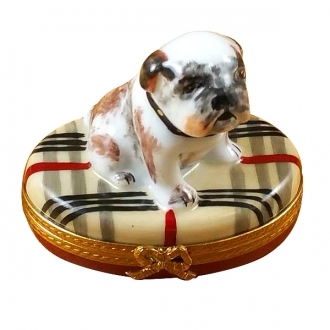 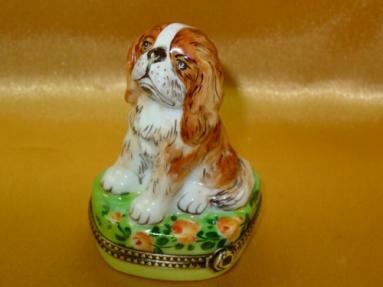 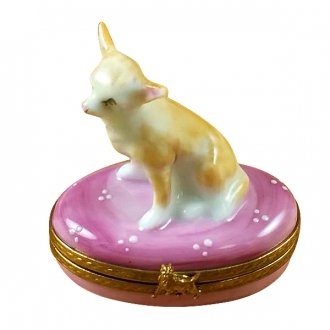 Yorkie on pink base - Limoges Boxes and Figurines - Limoges Factory Co.
Yorkshire Terrier is a breed of terrier, created in 19th century. 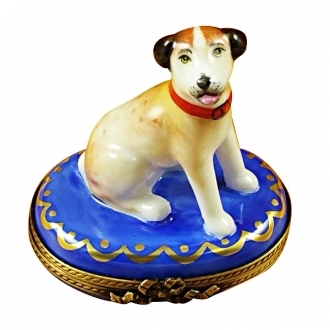 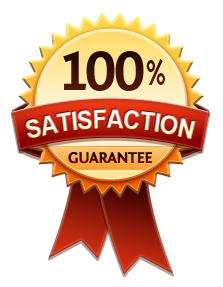 It is a small and lovely breed, that earned it’s place in hearts of many dog lovers. 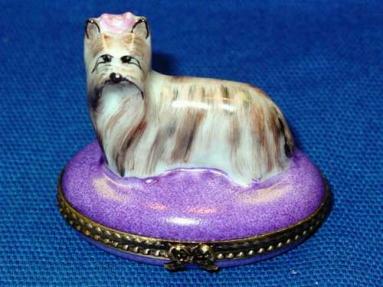 Measurements: 2,5" х 2" х 2,25"